On the strength of our experimental DVD title sequence, our work became part of the Experiment Marathon Exhibition at Reykjavik. 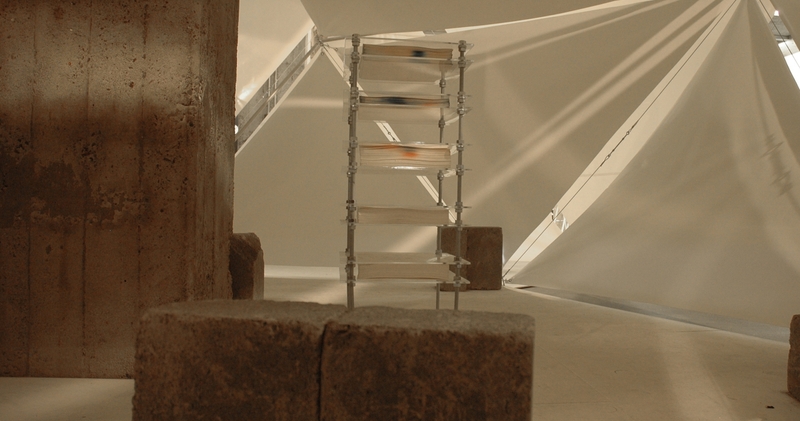 The installation included our DVD title sequence and paper stack used to create the animation, housed in its own temporary structure within the exhibition. Creating a more intimate space to view some of the lectures and experiments documented within the DVD. 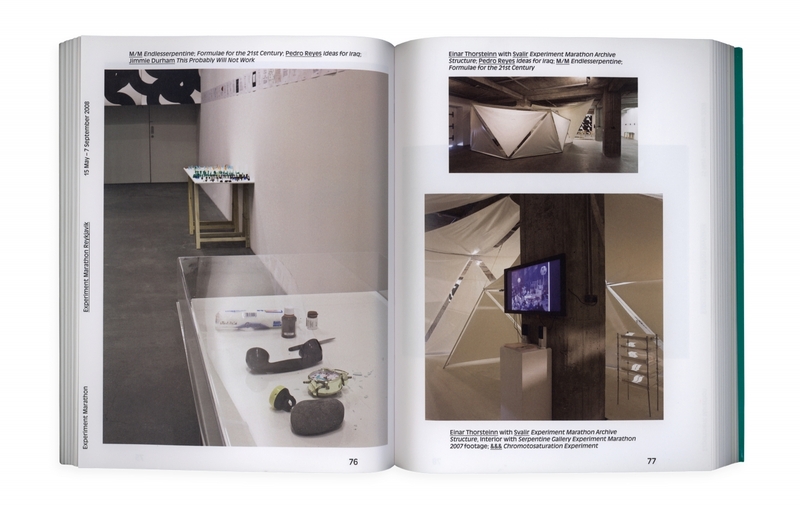 You can see more of our contribution to the Reykjavik art museum exhibition in the catalogue, available from Amazon. 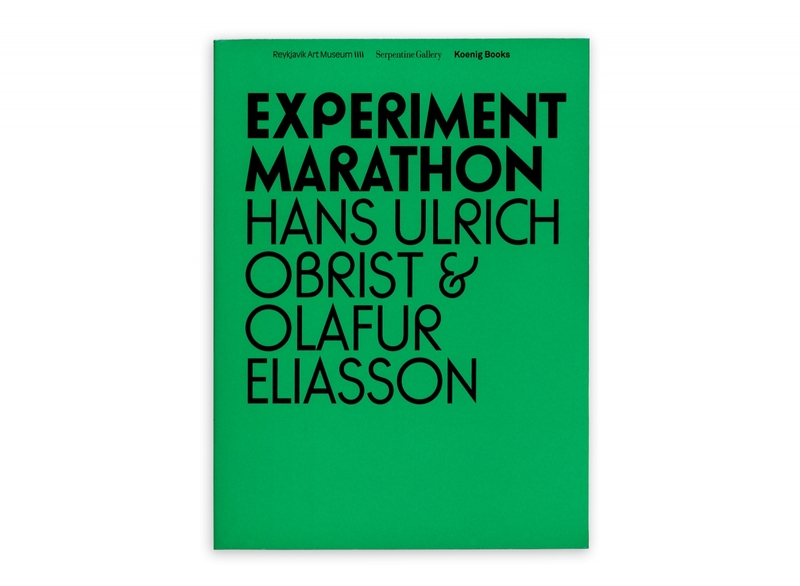 Experiment Marathon Reykjavik, curated by Hans Ulrich Obrist, Co-Director of Exhibitions and Programs and Director of International Projects, Serpentine Galleries, and artist Ólafur Elíasson, is a two-fold project that expands the idea of experimentation and display. It comprises an exhibition and a public event, which brings together leading international artists, writers and scientists to form a ‘laboratory of experiences’. Marina Abramović, David Adjaye, Karl Ægir Karlsson, Benjamin Aranda, Hilmar B Janusson, Fia Backström, John Baldessari, Thomas Bayrle, John Brockman, Tony Conrad, Peter Coles, Carlos Cruz-Diez, Attila Csörgö, Hekla Dögg Jónsdóttir, Jimmie Durham, Olafur Elíasson, Brian Eno, Erró, Ivana Franke, Hreinn Friðfinnsson, Gabríela Friðriksdóttir, Yona Friedman, Aurélien Froment, Stuart Sherman presented by Sharon Hayes, Abhishek Hazra, Florian Hecker, Roger Hiorns, Karl Holmqvist, Haraldur Jónsson, Chris Lasch, Kristján Leósson, Darri Lorenzen, M/M, Jonas Mekas, Gustav Metzger, Neri Oxman, Pedro Reyes, Matthew Ritchie, Israel Rosenfield, Tomas Saraceno, Carolee Schneemann, Thorsteinn I Sigfusson, Katrín Siguðardóttir, Luc Steels, Einar Thorsteinn, Rirkrit Tiravanija, Thor Vilhjálmsson, Tris Vonna-Michell, Emily Wardill, Dr. Ruth Westheimer. Serpentine Galleries is a client of &&& Creative, benefiting from our creative communication service offerings of Brand Identity, Creative Direction & Website Design. 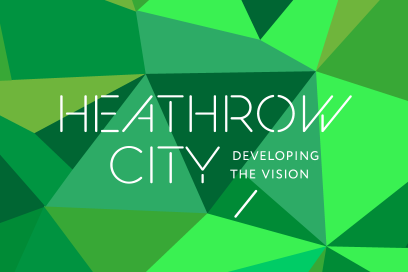 Architectural exhibition to consider the potential for a new hub airport and what the redevelopment of the new London borough of Heathrow would be like in 2020. 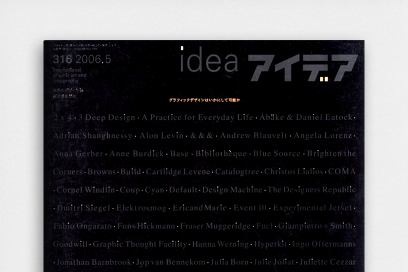 &&& Creative's work was featured in Idea magazine’s special issue. We were privileged to be showcased alongside people we class as design legends.